The Schengen Information System (SIS II) now also has a system for identifying people using fingerprints. After a two-year trial period, the Automatic Fingerprint Identification System (AFIS) was activated in March by the European Agency for the Operational Management of Large IT Systems (eu-LISA). This centrally located „fingerprint identification system“ can be searched, for example, as part of a police check. Every new entry stored in the database is compared with the existing dactyloscopic data. The aim is to fight not only general crime but also the abuse of identities. The installation of an AFIS was possible with new functions of SIS II introduced in 2013. After years of preparation, also attachments can be stored in the largest European police database. This includes fingerprints. The work also builds on a study carried out by the Commission’s Joint Research Centre (JRC). Surveys have taken place at various Interior Ministries and Police Forensics Departments, the US Department of Homeland Security and the FBI, the Federal Criminal Police Office and the Dutch Ministry of Defence. The study concluded that a fingerprint identification technology was available to be integrated into SIS II. 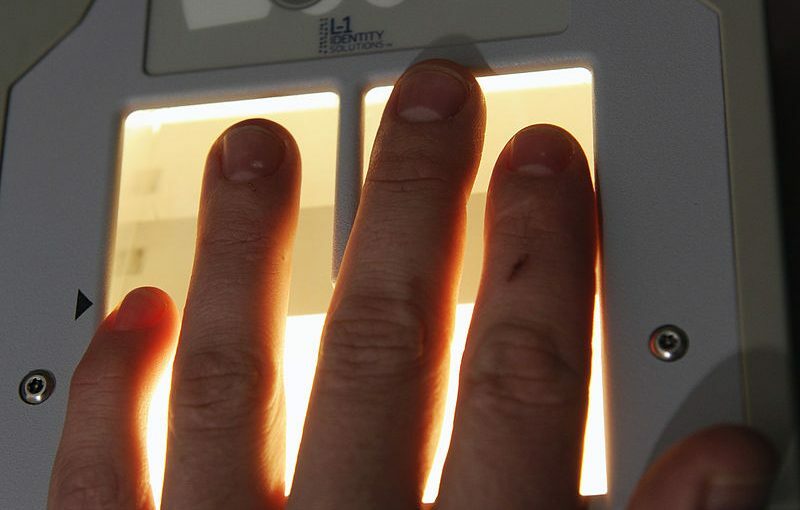 The number of fingerprints in SIS II is currently at 97,000, but is expected to increase rapidly with the new AFIS functionality. Compared to the German AFIS, which is managed by the Federal Criminal Police Office (BKA), in 2015 it stored 3.2 million high-quality data records and 422,000 latent fingerprint traces of unsolved criminal. An identity check with fingerprints there takes up to 5 minutes. According to eu-LISA, all schedules for the implementation of AFIS had been met. For example, to migrate to the system, participating States had to adapt all fingerprints already entered in SIS II to a new format and save them again. It is unclear how fingerprints in SIS II are also queried during a visa application or compared with the fingerprint database EURODAC. Technically this would be possible, the Commission study had also recommended this. In 2016, EURODAC contained around 4.5 million fingerprint data records, while the Visa Information System (VIS) contains around 20 million. Interpol and Europol also operate an AFIS. AFIS as the basis for a new super database? In a first phase, the new fingerprinting functionality in SIS II will be used by the ten Schengen Member States that have already worked closely with eu-LISA in the pilot phase. Germany, Austria, Switzerland, Liechtenstein, Luxembourg, Latvia, the Netherlands, Poland, Portugal and Slovenia are mentioned. In a second phase by 2019, further countries are to follow. The AFIS systems of EURODAC, VIS and SIS II could in future serve as a basis for the expansion of other European databases. The Commission intends to set up a „common biometric data matching system“, a „common memory for identity data“ and a „multiple identity detector“ with personal data and fingerprints, which would also be managed by eu-LISA. The databases already available at eu-LISA on „travel, migration and security“ would be subordinated to the new system. This would initially concern the SIS II, VIS and EURODAC. The planned „Entry-exit system“ could be added later.